I love the colors on this! It's quite nice. I just used a scrap of that same paper lastnight. I love that plaid background and the sun and clouds. Great layout. I love this layout. Really dig the plaid background, especially since I'm a big fan of the plaid. :) I pinned it. I adore turquoise! Love the page! This is a gorgeous layout! Such great colors! 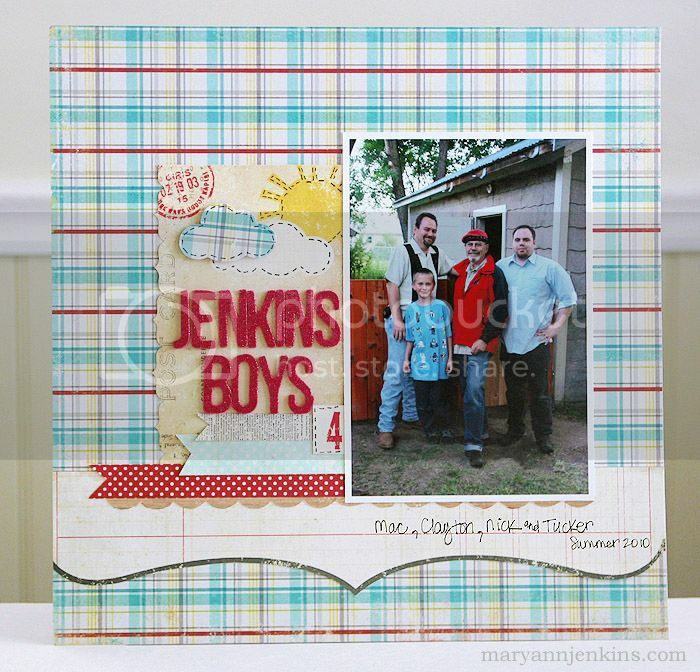 This is fabulous Mary Ann!! 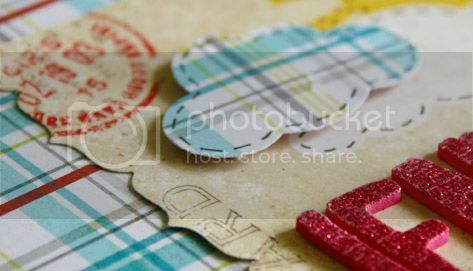 Love that fun background paper and the turquoise and pop of red look so awesome together!! Its a popular color, I know I am drawn to it...my new iphone cover is turquoise.